"The Deer Park Hotel is a stunning place to stay and dine - our team ensures that the kitchen was to the high standards of the hotel." 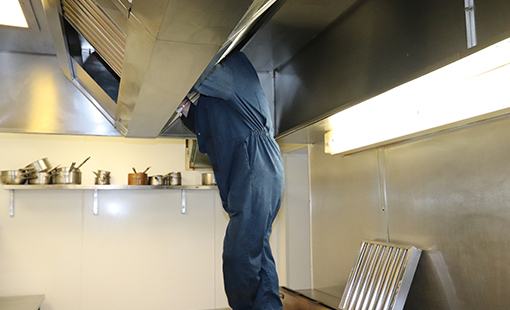 Our experienced and trusted team has been able to provide the Deer Park Country Hotel with full kitchen cleaning services while degreasing and sanitising the ventilation systems. Due to the large amounts of use that the kitchen gets, the hotel required regular cleaning to meet regulatory standards and keep to the high standards that the customers expect. Speak to us today to find out more about hotel cleaning services that our experienced and skilled to is able to offer. Are you looking to have your kitchen ventilation or ductwork cleaned by our specialist team, simply get in touch with our friendly team for your free quote today .